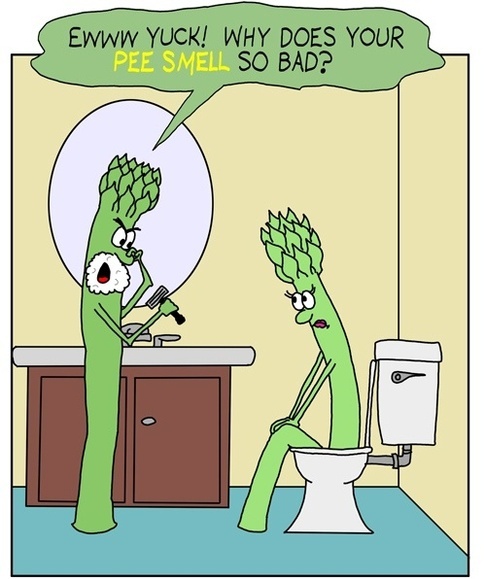 The History of Asparagus Pee..
Ok.. Fess up!! Who has it? You know your urine smells! Just admit it! Yup, thought of this one while I was on the can earlier this evening.. So I decided to take a historical look at the odor of asparagus pee. The below is taken directly from Wikipedia. Well the paragraph AFTER the paragraph below is taken directly from Wikipedia. Sorry for the confusion. Cut me some slack, I am enjoying quite a bit of beer right now. I am so glad that one of our founding fathers, Ben Franklin wasted parchment talking about the odor of urine. Fantastic. Oh and did you see Marcel Proust’s admissions below? What? Come again? Asparagus pee smells like perfume? Hey, I’ve smelt that perfume!! It’s called “Fantasy” by Britney Spears.